"Paul Casey is one of the finest 18-hole matchplay exponents around...he's also played the better golf over the past two days, with Koepka missing a lot of fairways." Europe will take a commanding 10-6 advantage into the final day of the Ryder Cup, needing to win four and a half points from the 12 singles matches. After a couple of demoralising sessions, USA kept their hopes alive by drawing the foursomes session but will need to produce their best singles performance since the previous century to retain the trophy. The visitors will nevertheless know their task is perfectly possible, having lost from 10-6 up six years ago at Medinah. Europe's 8.5 points tally from that final day was also achieved by them in 2006 and the USA in 1999. Here's the list of singles matches, which kick off at 11.05 am. For a really useful guide, check out Adam Sarson's database of matchplay records to see how each player has fared in this niche format. Predictably, both captains have picked a heavyweight up front to lead the charge. Rory McIlroy and Justin Thomas could serve up a classic. I've got no interest in trying to pick between them but do recommend bets in the next two matches. First, Paul Casey is one of the finest 18-hole matchplay exponents around. His 58% win record is actually inferior to Brooks Koepka at 64% but his sample is much bigger. The Englishman is a former winner of the HSBC World Match Play and twice a runner-up of the elite World Matchplay in the States. He's also played the better golf over the past two days, with Koepka missing a lot of fairways. The next match could be a cracker too. Rose obviously warrants favouritism after his recent heroics in all formats but he's up against a similarly in-form opponent. Simpson played some cracking stuff yesterday afternoon and Furyk must regret omitting him from fourballs. Outsiders generally appeal in this format and at [2.9], the American gets the nod. I'm advising no bets on the next five matches, which are absolutely pivotal. I would marginally prefer Woods against Rahm and Spieth should deliver against Olesen at prohibitive odds. I considered Poulter and Finau as outsiders against Johnson and Fleetwood respectively. Garcia v Fowler, with the Spaniard bidding to become the all-time Ryder Cup points-scorer, could be a match for the ages and he could very well hole the winning putt. What a moment that would be - I'm happy to just watch. In every Ryder Cup since starting betting, looking for over-priced final day outsiders has been my thing. There is no greater leveller than 18-hole matchplay and this unique event affects players in ways like no other. My favourite memory is backing Welsh journeyman Phil Price to beat a peak Mickelson at around [4.4] in 2002. He won 3 & 2.
Who'd have thought we'd ever see the reverse - Mickelson as the biggest outsider of the day! True, on their performances so far, he could be thrashed out of sight. Molinari has been magnificent, winning every point alongside Fleetwood, and is a course specialist. But the Italian failed to win either previous singles match in this and has a poor record in the World Matchplay. Much stranger things have happened and we are backing an all-time legend. Another thing I never thought I'd say is oppose Patrick Reed at matchplay. He has been poor, though, and wasn't in great form coming in. Keep missing fairways and you'll be punished at Le Golf National. 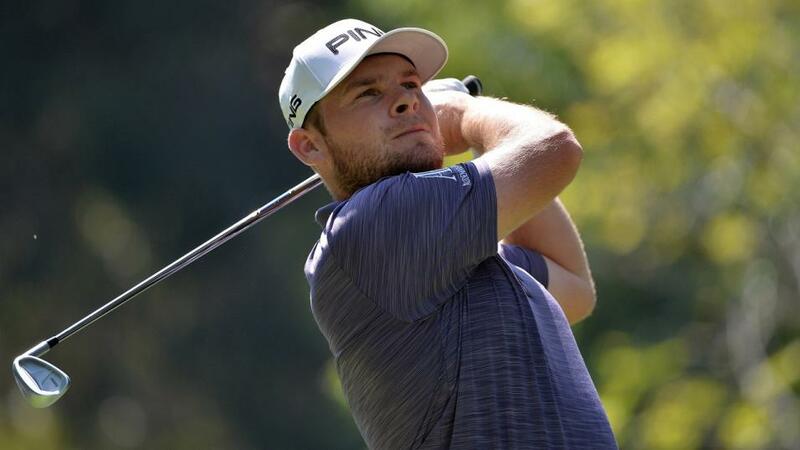 Hatton's golf has been far superior this week and the debutant also boasts some pedigree in this format, having performed well at the World Matchplay. I must hold my hands up to wrongly dismissing Bubba Watson yesterday, before he and Simpson's brilliant win. I stick to the view, though, that this is really not his golf course. You have to keep it in play here or face constant trouble and he famously made a fool of himself on his sole previous visit in 2011. In total contrast, Stenson is perhaps the ultimate accuracy player and produced the goods in both matches so far. The cup may well be won by the time the final match gets well into the back-nine. If Europe have won, it could make for a pretty horrible experience for Dechambeau, who has endured a debut to forget. He has never played matchplay as a professional, whereas Noren has an outstanding 74% win ratio. Granted he was in much better form at the time but the Swede was superb at this year's World Matchplay, only losing the semi-final in extra holes.